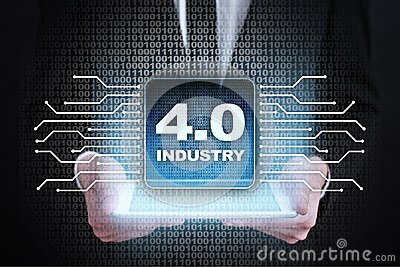 Stock image of industry 4.0. iot. internet of things. smart manufacturing concept. industrial 4.0 process infrastructure. background. stock image of The engineer is working with smart phone with large industry background.